Music can powerfully inspire worship. It can sum up all of our prayers and offer them “into thy presence as the incense.” All human beings have talents or personal gifts which have been given them by God. And, it is right that we offer our talents to God in service of the Church and our fellow worshipers. Our ministry is to amplify our worship through musical expression, encouraging and nurturing those who have musical gifts, including everyone in our corporate musical expression. It is our firm belief that, since we have been given gifts or talents from God, we should strive to do our best in rendering to our Creator the musical praises offered by us on earth. It is a matter of proper honor to our Lord that we offer music of the highest quality, both in composition and performance that includes both adults and children. Through our Canterbury Choir, Canterbury Choristers, and Choristers in Training, the Chapel is proud to offer a solid, traditional program of Anglican music lead by our English Cathedral style organ at the principal service each Sunday. The Anglican Musical Tradition is a living tradition, evolving, and including works from the ancient to the modern. 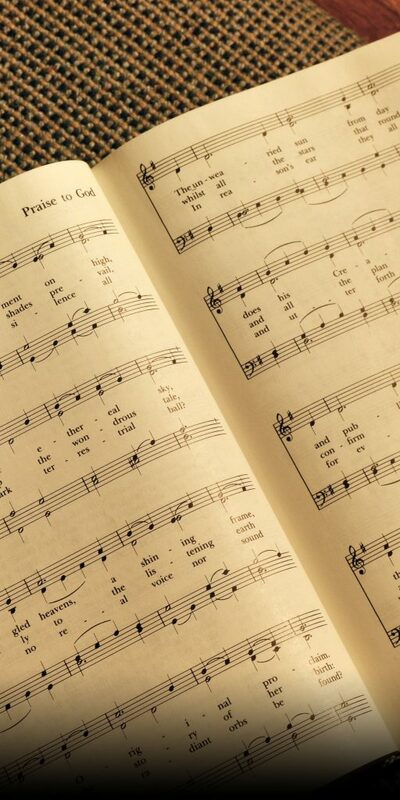 Hymns, choral anthems, and the organ voluntaries are carefully selected to amplify the biblical lessons and psalms appointed for each day, in compositional styles appropriate to dignified worship. The Chapel and its parishioners sponsor several special musical programs every year, all of which are of the highest quality, and offered without charge. These often include organ recitals, organ and voice/instrumental ensembles and choral concerts. The Canterbury Choir also offers solemn evensongs and choral masses. An annual highlight is our Service of Advent Lessons and Carols. There is a high percentage of visitors to the Chapel at these services, whom we welcome warmly. The Choir and Choristers have been featured on a number of compact discs. They are all available from the Chapel.